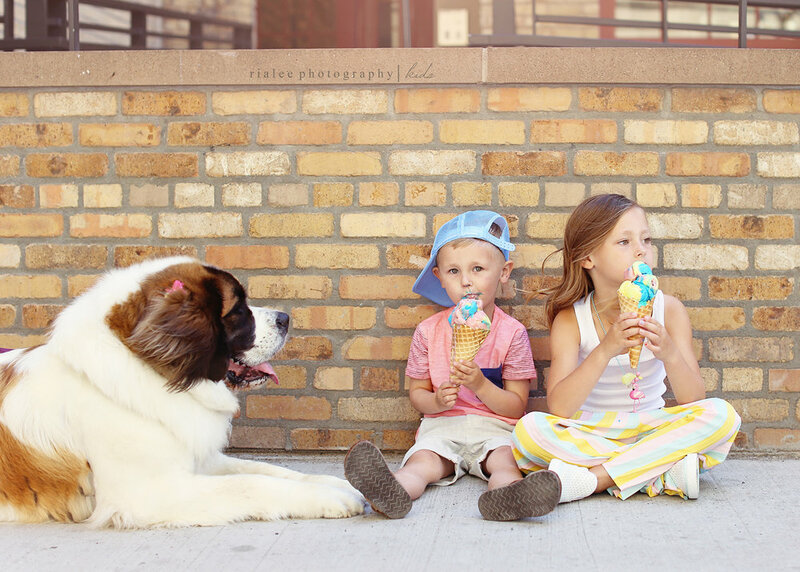 You’ve got two excited kiddos, an alley in downtown Fargo acting as a wind tunnel, a huge St. Bernard getting tons of attention and an ice cream shop that doesn’t open for another 40 minutes. What could go wrong?! Despite all these fun circumstances, we managed to get some pretty great shots of two of my favorite kids and the cutest dog in town. Thanks Scoop N Dough for letting us buy some cones for our shoot even though your doors technically weren’t open yet.